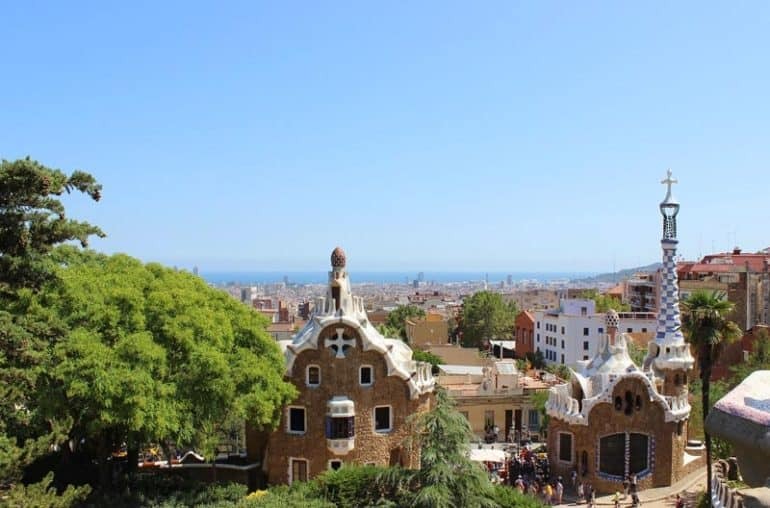 Park Guell is only a few metro stops away from the city centre, but travellers visiting this peaceful space will immediately feel a world away from the madness of Las Ramblas et al. 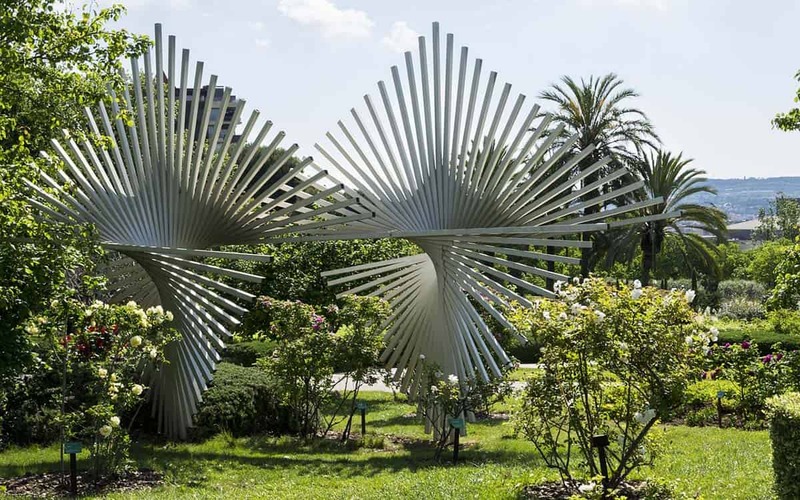 Commissioned by Eusebi Guell, Gaudi designed this park to be a tranquil retreat for Barcelona’s chattering classes in the manner of El Retiro in Madrid. Unlike Retiro however Park Guell is not set on the flat, but on a dry and dusty hill that overlooks the Gracia district. The master architect used that to his advantage designing sweeping steps, grand viewing terraces and landscaping the gardens with tropical plants. 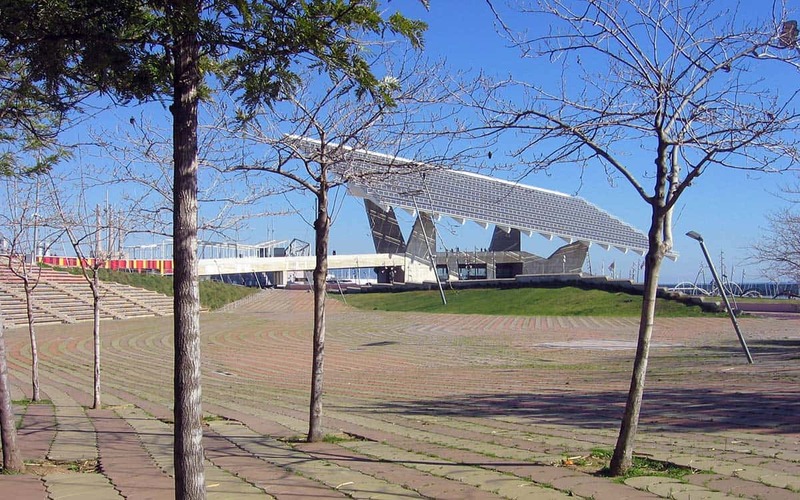 The result is undoubtedly one of the most beautiful recreation spaces in Spain, if not the world. 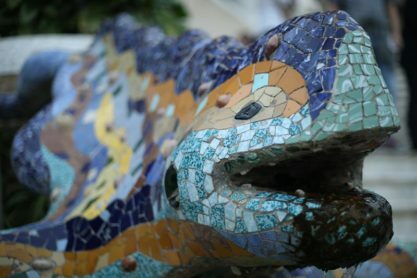 The most memorable features of the park are the reptilian-esque colonnades, the colourful mosaics that cover the slaloming seats on the viewing terrace, and the famous tiled lizard that guards the sweeping steps which lead up from the entrance, and whose image can be found on many a T-shirt, mug and postcard around the city. 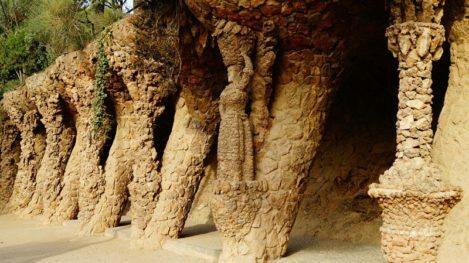 Together these features make up ‘The Monumental Core’ of the park, and if you want to enter this section you’ll have to buy a ticket as, since 2013, the city decided to regulate visitors to prevent overcrowding. 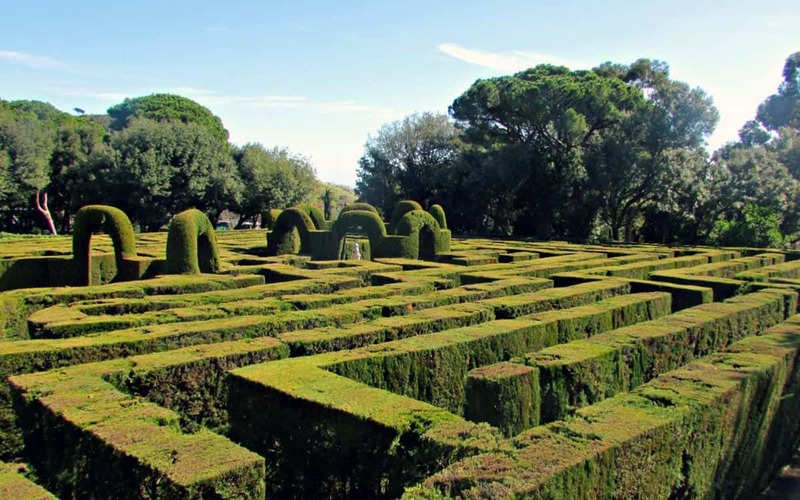 The rest of the gardens are free to enter, however this mostly consists of wooded hills – nice but not showstopping. If you want to see any of the famous parts, you are well advised to reserve your space in advance. 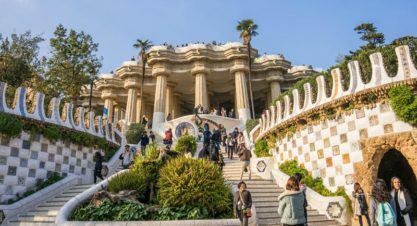 We’d also recommend avoiding the middle of the day, and going when it’s a bit quieter and more romantic, either in the morning or an hour or two before dusk, when the sun is slowly setting over Barcelona. At these times the light is better for taking photos, and the heat is much more bearable. 08.00 to 21.30 (last entry time at 20.30). 08.00 to 20.30 (last entry time at 19.30). 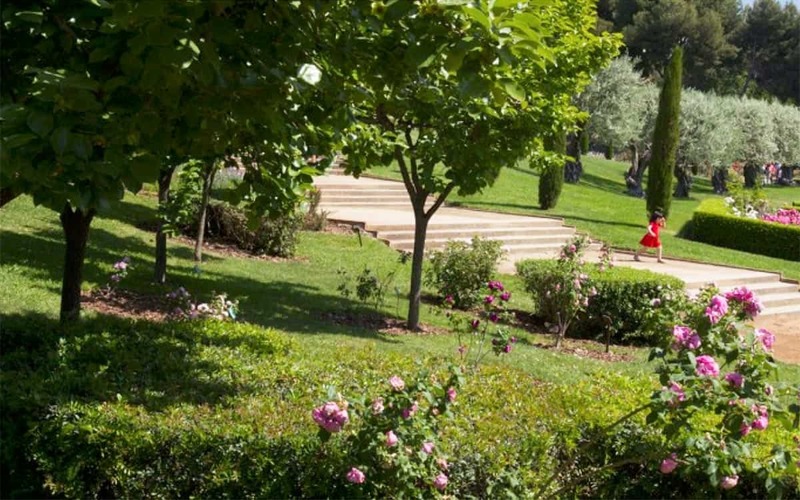 Vallcarca is the nearest metro station, but that takes you to the side of the park, and so we’d recommend you alight at Lesseps and follow the signs to arrive via the grand entrance. You can buy your skip-the-line ticket via Get Your Guide, which grants you access to the Monumental Zone and all the aforementioned attractions. 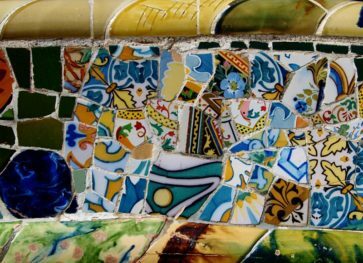 For those who want a little more insight into the gardens check out this guided tour of Park Guell, which includes fast track entrance tickets and is pretty affordable at just €25. Otherwise take a look at all offers on Get Your Guide. You may want to combine your visit to Gaudi’s park with a guided tour of La Sagrada Familia as well for example! 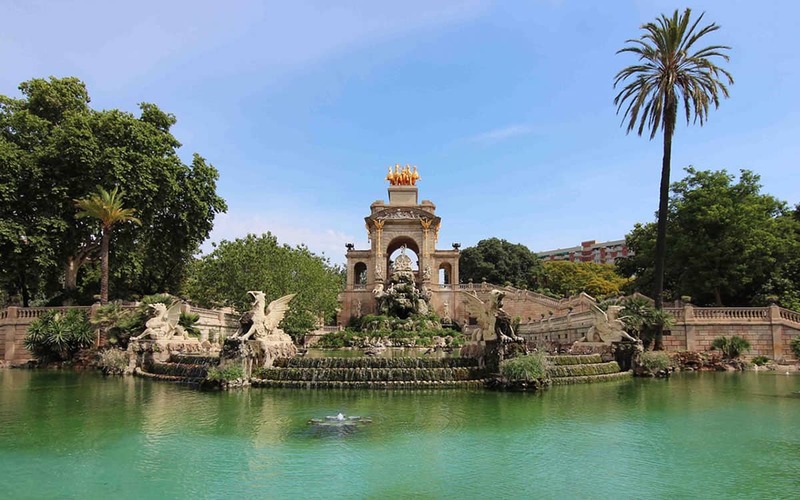 Finally Barcelona Turisme offer private tours of the park, for 2 people or more, for just €69 per person. This beautiful and eccentric peach-coloured mansion is found in the grounds of Park Guell, but is not part of the Monumental Core and requires a separate ticket. If you’re a fan of the architect’s work though, it’s well worth checking out. Gaudi lived here for 20 years of his life (before moving into the crypts of La Sagrada Familia where he slaved on his masterpiece until his untimely death), and the house has been refurbished with gorgeous furniture and ornaments designed by the man himself. It’s fascinating to see him bring the same flowing, organic style to interior decor as he does to the facades of his famous masterpieces. You can buy skip the line tickets here. 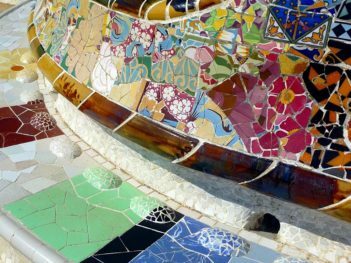 Make sure you read up on all of Gaudi’s best works in Barcelona.